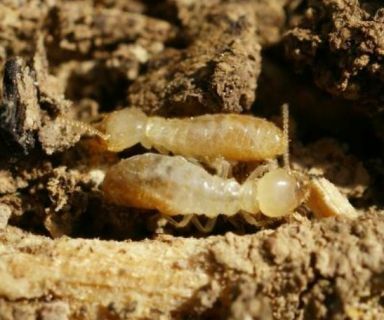 The rapid spread of termites within the territory of Uzbekistan began recently. 3200 infected households was found in 1992. Thirty thousand infected households were identified at the beginning of 2013. A government Directive was adopted in April. It approved urgent measures on elimination of termites in Khorezm. Official document provides for the demolition of residential buildings. The rapid spread of termites within the territory of Uzbekistan began recently. 3200 infected households was found in 1992. Thirty thousand infected households were identified at the beginning of 2013. A government Directive was adopted in April. It approved urgent measures on elimination of termites in Khorezm. Official document provides for the demolition of residential buildings. 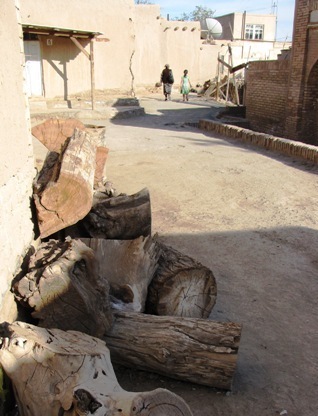 This week the demolition of houses infested with termites, started in the town Khiva. The first actions are in mahalla (community) Mevaston. The list includes the demolition of the households in the communities Yangiturmush and Ichan-Kala. The last of the three is within the State historical-architectural Museum-reserve «Ichan-Kala». I visited Khiva а month ago. Demolition in the city wasn\’t held, but people were nervous. Officials in the administration of the State Museum \»Ichan-Kala\» told me about the measures against termites and even escorted to the territory. They showed termite baits, established by the Republican center for termite control on historical monuments. Bait is a cardboard tube length of 15 centimeters. It\’s contain food for termites and slow-acting poison. \»Can I get infected residential houses in Museum-reserve?\» The officials answered negatively to this question. «Residents will not allow. No one wants to go from here. Each person will argue that there are no insects». Ichan-Kala (the inner town) is surrounded by a wall 8-10 meters in height and 6-meters thickness, the defensive towers. The wall is built of Adobe bricks dried in the sun. It impresses with its power. Termites are absent here, because the dry, sunny and hot. They don\’t like it. Termites love the darkness and water within reach. Therefore, they preferre the cemetery. Suddenly these insects have chosen Ichan-Kala. Why so? Architects and builders have helped. First, the «inner city» — with its 26 hectares — has received the status of the Museum-reserve. It happened in 1969. In 1978, the General plan of Khiva was adopted. In the following decade, the nearby area has undergone reconstruction. External ditches, where the water was, were filled with earth. Asphalt has been laid over the moat. No one took into consideration that the ditches were used for the outflow of ground water. 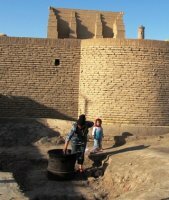 Another reason why began to rise groundwater is that irrigators paved the Turkmen canal, not far from the old city. At the same time an old city cemetery took part in the reconstruction. It was removed, termites were disturbed. 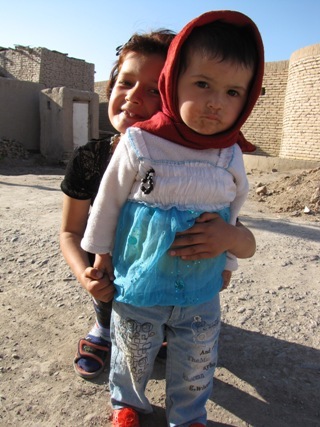 Now реорle says that on the place of Mazar — Bazaar. Termites settled on the surrounding communities, where they found the most favorable conditions: groundwater close by, food is everywhere. 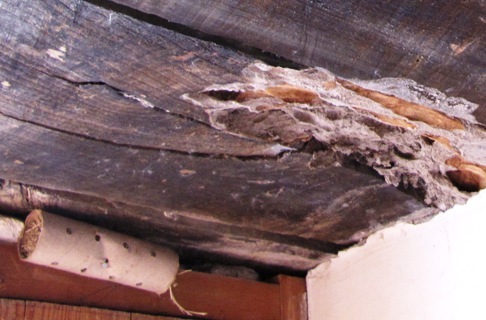 The walls of houses contain cellulose, wood beams is also the food. Books, notebooks, wood, harvested in the winter, dowry brides in chests — all delicious. Residents are not immediately appreciated threat. At first the scientists of Museum-reserve became agitated. They saw modeling and moves in the Juma mosque. 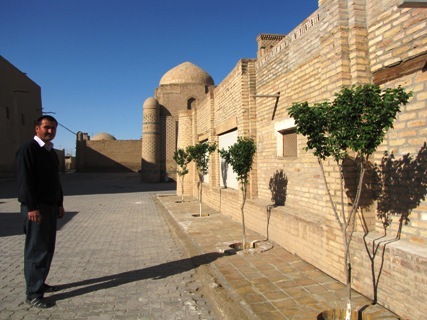 Djuma-mosque is located in the center of Ichan-Kala, built in the XVIII century. It is like nothing else. Little light penetrates through the three ceiling hatch. Rows of carved wooden columns seem endless in this mysterious light. 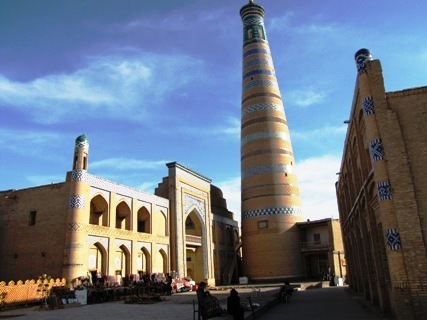 Experts say that it is a rare Central Asian type of archaic multicolumn mosque. More than two hundred columns are placed here. Most carved from tree trunks in XVIII-XIX centuries. There are those that are taken from the medieval constructions. 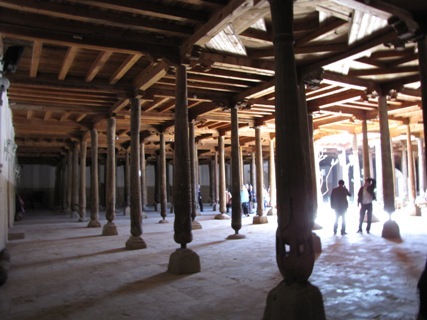 Twenty-one column of the Juma mosque belongs to the X-XII centuries. The entrance gate is considered one of the masterpieces of wood carving in Khorezm. This beauty is protected as a UNESCO World heritage site since 1990. «White ants» attacked it. 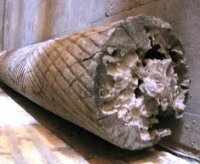 In response to the problem the government adopted Protocol in 2001 for termite control. Scientists from the Institute of Zoology of the Academy of Sciences of Uzbekistan for the first time tested here poisonous приманки.Они took into account the physiology of insects. Two-three months the food moves in the stomachs and intestines in a single site. It moves from «working», «soldiers», «nymphs» to King and Queen. They can\’t guess what comes to perish in the nest. Experience in the Juma mosque was successful, the rally was held by one. Housing is not secured. In 2007 scientists entomologists received a grant to implement the fundamental four-year project «Development of scientific bases of management of population termites». In parallel, they worked out the technology of obtaining poisonous baits. Scientific Association «Аkadempribor» has manufactured a pilot plant. Plastic containers replaced by cardboard tubes. This reduced the price experimental production. The third project of the Institute of Zoology practically studied three dozen trees. Scientists have proposed preparations for processing, to improve the sustainability of the wood. rejoice domes, teeth, tiles and saplings of mulberry next to each madrasah. Mulberry tree planted here in the last five years, to drink groundwater and slowed them. Creation of vertical drainage around the city serves the same purpose. There are a dozen wells, but their number should be doubled. In this season four of drainage wells are planned to drill. Preventive measures were taken inside Ichan-Kala. Cement «belt» made in the walls of buildings. Burnt bricks are also mounted in a wall. A tourist does not see them, and thermo-hygrograph retreats, he can\’t chew. But termites can chew all in the communities. These communities unite 1406 houses. 424 houses defined under demolition. Mahalla Mevaston infected stronger than the others. All houses here are 509. 229 houses are inhabited by termites. 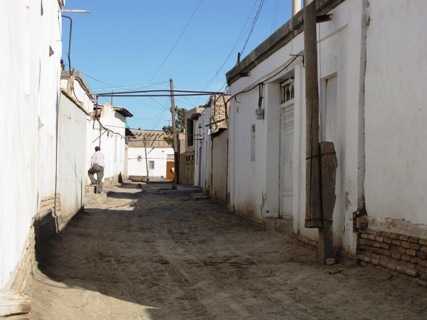 First of all, a decision on demolition and resettlement relates specifically to the residents of this mahalla. Poisonous baits will be installed in the remainder of households. The yards will be treated with a special compound. 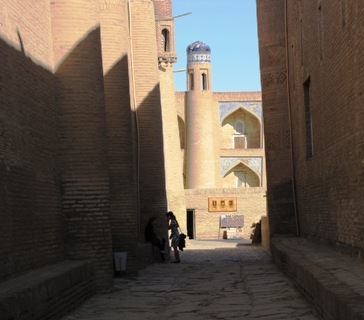 This spring in Khiva marked by serious government decisions. 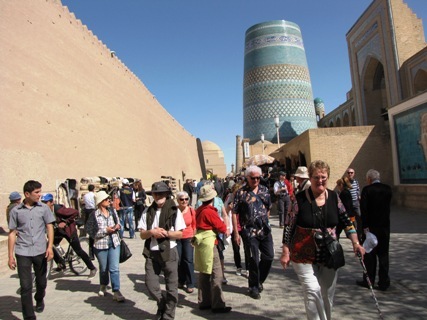 Resolution of the Cabinet of Ministers «On the approval of the General plan of the city of Khiva until 2030\» was adopted in May. 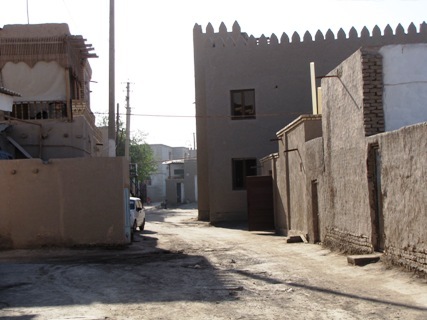 The document informs that the residential area is divided into three types of building. The first is a residential complex historical-cultural reserve «Ichan-Kala» with very high density. The project envisages its full save. Planning activities are not available. Any changes are possible only on a special project with a detailed study of the historical value of each individual object. Three weeks before the government signed Instruction on how to deal with termites. Probably, these documents were prepared various agencies. So, the Order specifies that completely old accommodation, imparting the sweet flavor of the world heritage cannot be saved. Ordinance applies to the whole country, but Khorezm region and Khiva highlighted. What to do? The Order offers the following. Until 1 June 2013 relevant structures should examine the situation on the infestation of termites in makhallas Mevaston, Yangiturmush, Ichan-Kala. Then they must assess the cost, allocate funds and new areas for migrants. 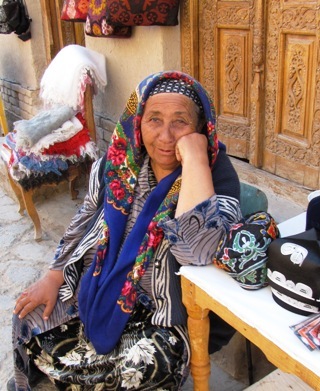 Throughout the Khorezm region is prescribed to identify all infected and historical objects. This document also proposes to monitor the spread of termites in new centers and monitor the situation constantly. This applies not only to Khorezm, but also other regions of Uzbekistan. Workers of the decontamination stations and divisions of the Republican center for protection of plants are obliged to learn installing lures. Scientists from the National center to combat termites are required to train. National center to combat termites was formed in 2012 on the basis of the Institute of Zoology. It is expected that the center will establish the production of lures in industrial scale. Municipalities are responsible for the allocation of funds, resettlement planning, disinfection of property, furniture. After relocation of residential buildings with termites will be demolished. 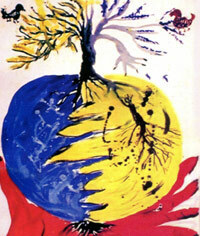 The order calls: to destroy, burn all that is lit, then the soil should be treated with chemicals. 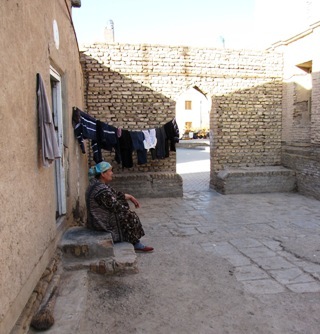 In Khiva this part of the work entrusted to the Khorezm special station. Demolition of housing will take place in stages. About a hundred houses included in the plan for the first year. Development land allocated. The total amount of compensation for the IDPs three mahallas will amount to 14 billion 88 million soums. Over half a million soums have to spend on processing of the earth in place of demolition. More than one hundred million will be spent on processing slightly affected households and housing composition septor-2 and the installation of lures. A small yellow-white insect is changing the lives of thousands of people, standing colossal expenses. It can\’t be? Come June. Demolition began.